Since April 2015 he is the Chief Executive Officer of Al Sawadi Power Company SAOG. He was the Chief Executive Officer of Al Kamil Power Company SAOG (AKPC), a 285MW gas-fired power generation company, from Jan 2006. The Plant is fully contracted for 15 years with a PPA expiring in April 2017. AKPC is GDF Suez’s subsidiary and is also listed on Muscat Securities Market. AKPC has an excellent generation and HSE record and has well remunerated its shareholders with respectable dividends since its COD. He joined AKPC in January 2001 as Finance Director and was actively associated in the setting up of the power project and installing systems and procedures in the organisation. He was promoted as CEO in the year 2006 in recognition of his managerial capabilities and achievements. Fellow member of Association of Chartered Certified Accountants, UK and Institute of Chartered Accountants of Pakistan and holds a Bachelor degree in Economics. Mr. Akhtar joined Al Suwadi Power Company in August 2014 from GDF SUEZ Energy International where he was working in the capacity of General Manager Corporate Finance & Planning for two fully owned subsidiaries in Pakistan. He started his career with Ernst & Young where he spent 5 years. He joined the GDF SUEZ group in 2003 and remained extensively involved in dealing with project and finance documents, led the corporate finance & accounting functions and successful development of a greenfield project. Bachelors Degree in Mechanical Engineering, Bangalore University. Associate Member of the Institution of Engineers – India. Mr. Kumar joined Al Suwadi Power in March 2011. He has been working in Oman for over seven years. He started at Kharafi National as Country Manager and then joined W.J Towell, where he worked for six years as Manager – Projects, handling the O&M of power and water related projects. 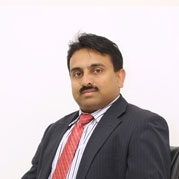 Before coming to Oman, Mr. Kumar worked with Reliance Energy in India as Deputy Manager - Operations. He started his career with Chambal Fertilizers - India in 1995. Over these last 19 years, Mr. Kumar has gained multi-functional experience in the field of business development, engineering, operations and maintenance in power, desalination and utilities in India and the Middle East. Chartered Accountant from the Institute of Chartered Accountants of India in 1986. Mr. Basu joined as a Financial Controller in October 2010, having 27 years of experience with capabilities in statutory & internal audits, corporate accounting & financial operations, project finance management and system & policy development. He has worked with the top tier companies in India and Oman, including the power sector, both from audit and industry perspective.